After a busy day spent hosting meetings or exploring Macau, find your balance with a visit to So FIT. 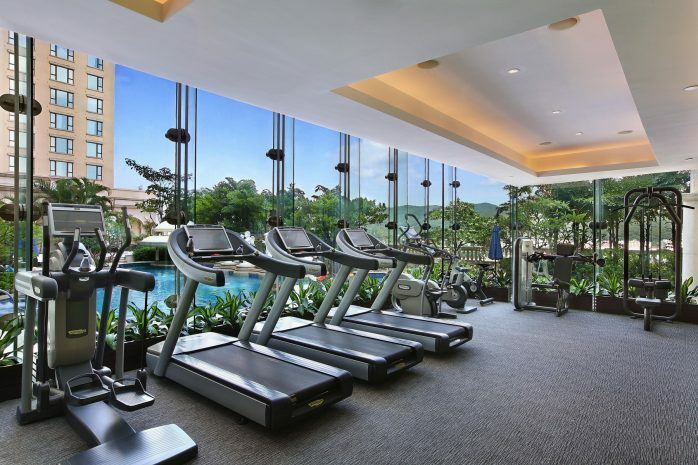 Let the abundant natural light and calming garden terrace view inspire you to pursue new personal bests. The gym’s dedicated trainers offer encouragement and expert advice. Modern equipment makes exercising a pleasure, while the rest area’s leather sofas are designed with your comfort and relaxation in mind. After your workout, detox with a session in the sauna or step out onto the terrace for a swim in the outdoor pool.